Helping students explore, inquire about, and explain the world we live in through travel. Field studies in Iceland, Mexico (Sea of Cortez), Costa Rica, Florida, Alaska, the Caribbean & points beyond. Travel free with as few as 8 students from your school. Student-centered programs for grades 6-12 make the trips as unique as each of our participants. See the world’s biomes from the Arctic to the Equator and everywhere in between. Email us and learn how 2 teachers from your school can travel free with 10 students. Teachers! Lead a group from your school & travel free! Learn more about leading a group of students from your school by clicking on the button below. Feel free to email or call us if you want to talk to a real person. Science student tours to Iceland, Baja, Costa Rica, Florida, Alaska, and the Caribbean. Wild classrooms to investigate through student-centered programming, research, and STEM. 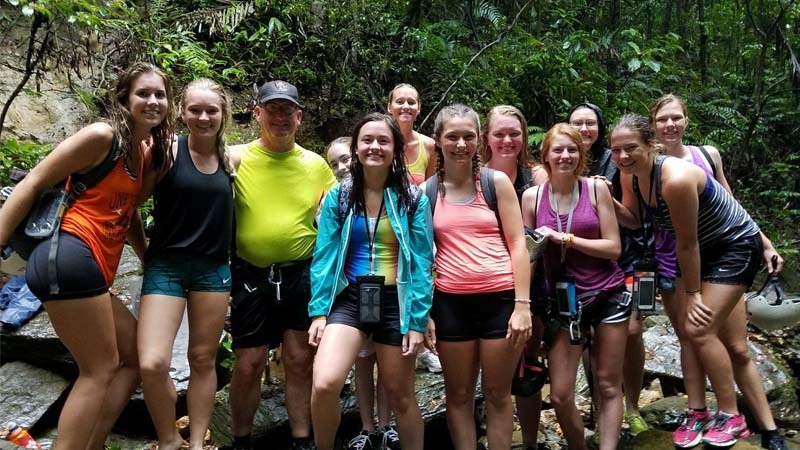 Local guides, and fun outdoor activities like hiking, sea kayaking, glacier trekking, waterfall rappelling, snorkeling, camping, and cool animal encounters ensure that students are immersed, engaged, and wowed by a place.